Jason Day was able to get his third PGA Tour win on Sunday at Torrey Pines, taking the 2015 Farmers Insurance Open in a four-man playoff against J.B. Holmes, Harris English and defending champion Scott Stallings. On 17, Day’s approach found the bunker and plugged but he played a great recovery and saved par. He would go on to make another par on the 18th after going for the green in two, joining Stallings at 9-under par but English and Holmes were still on the course. Despite being one of the longest hitters on the PGA Tour, Holmes decided to lay up on the 18th while tied for the lead, while English, one back at the time, went for the green. Both men would get in at the 9-under par number and join Day and Stallings for a four-man playoff. Holmes couldn’t get up and down from a terrible spot behind the green, and Day was able to two-putt for his third career PGA Tour win, and first stroke play win in over four years. Day’s going to move into fourth in the Official World Golf Rankings, sitting behind only Rory McIlroy, Henrik Stenson and Bubba Watson, which seems about right to be honest. Day’s potential is absolutely massive, but it’s been derailed at several points in his career thanks to nagging injuries to his wrists and elbows, which is some combination of bad luck and the fact that he swings harder than just about anyone on the PGA Tour. He’s going to be 28 in November this year, and it certainly feels like he should have won more than three PGA Tour events to this point, but with wins in back-to-back years (you’ll recall his duel at the match play with Victor Dubuisson last year) and a great record in the major championships, Day seems likely to explode and win multiple times in 2015. Not sure how this happened from Lucas Glover. Brooks Koepka FIVE putted the 18th. JB Holmes just took 5 minutes to take a drop from the fringe and Gannon calls it a "hard working par." It's called being slow, not grinding. How many different drugs do you think Spencer Levin could sell you at any given time? I'm sure Golf Now is pumped that their sponsored Shot of the Day segment was won by a guy in a parasail. "We're sorry to interrupt the coverage of this La Jolla, California parking lot, but here's the current leader putting for birdie on 2. "That'll get your glutes firing" Feherty after CH3 almost backspins it into the water on 18. He's the absolute best. Billy, Rickie and Tiger sharing a moment. 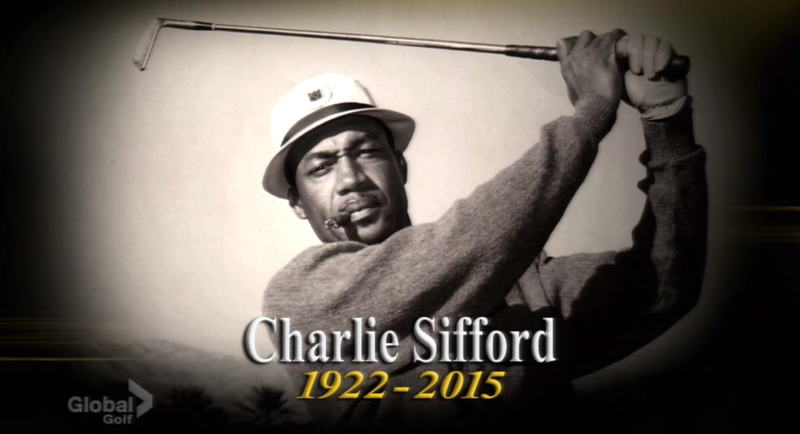 It was a pretty tough week for the golf world with Charlie Sifford and Billy Casper both passing away, and the Golf Channel/CBS crew did a great job of lending the correct amount of weight to the situation. On Sunday, Jim Nantz and Nick Faldo opened the broadcast with a discussion about Casper, with Faldo talking about how he played his first ever round at Augusta with the 1970 Masters champion. 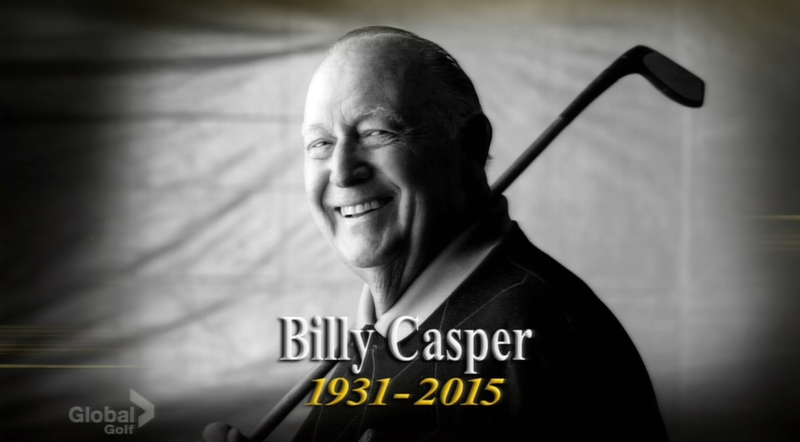 Later in the broadcast, a video celebrating Casper’s life was aired. It was a job well done by all parties. Notables to miss the cut: Luke Donald, Justin Rose, Dustin Johnson, Hideki Matsuyama, Billy Horschel, Justin Thomas, Phil Mickelson and Jordan Spieth. On Tiger’s WD: I took a look at that a few days ago, and there was one name that I just couldn’t shake. Former Stanford star Patrick Rodgers won the second event of the year on the Web.com Tour on Sunday. Convinced that it won’t be long until we see him doing the same on the big tour too. Charles Howell only having two PGA Tour wins is still one of the most baffling stats out there. Phil: I’m sure he’s going to be fine. As I’ve talked about in the past, I’m not sure he’s going to be a consistently dominant force anymore, but he should still be able to turn it on when needed. The decisions on the 18th were interesting. Jason Day, knowing his strengths, played to them in regulation and went for the green in two to try and win it. J.B. Holmes went completely against his strengths and decided to layup. Both ended up making par, and while it’s true that we don’t know what the lie was exactly for Holmes, I can’t imagine that the percentage play was to layup the way he did and try to hit a wedge into that green. It just seems counterproductive to me. 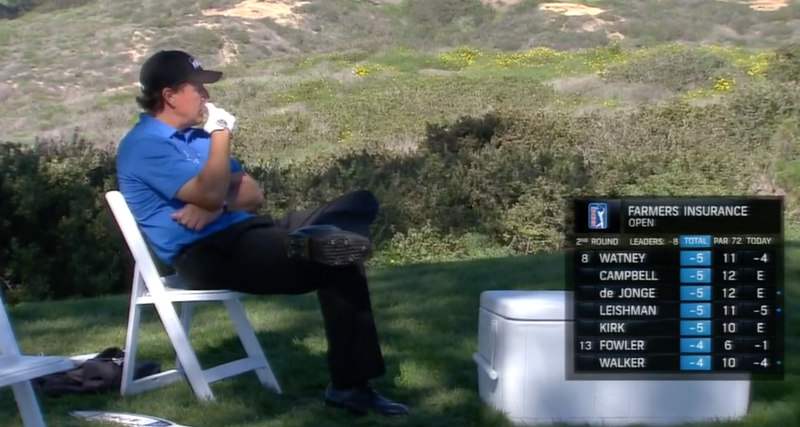 Off to Pebble where the views and course are great, but then you remember that Chris Berman and Kid Rock are considered celebrities and they’re probably worse golfers than you. It’s a good field though, with Day, Jim Furyk, Billy Horschel, Dustin Johnson and Patrick Reed headlining.